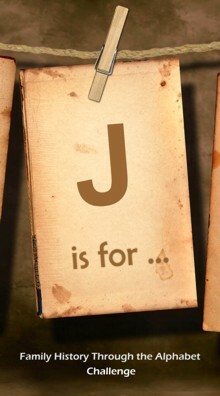 J is for Joseph Leonard Mangiafico. 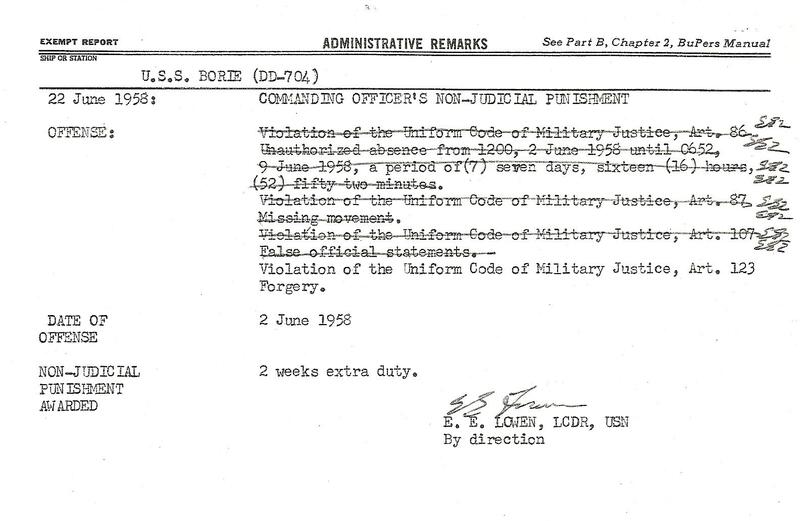 I thought I would take this opportunity to share some of Joe's military papers. Joseph served a total of 4 years 9 months and 14 days in the United States Navy. 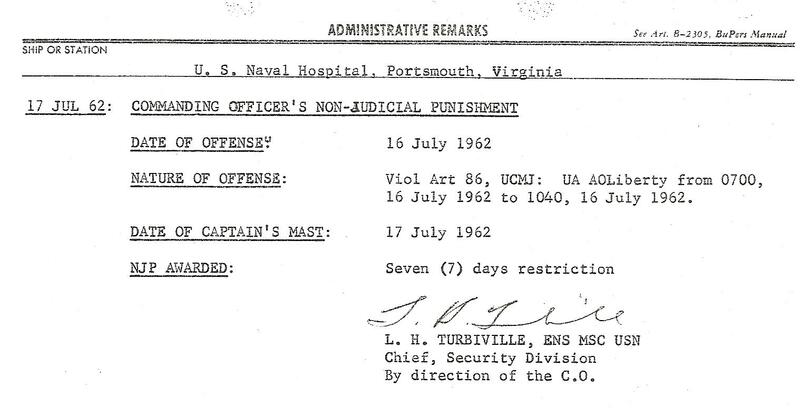 He reenlisted August 9, 1961. 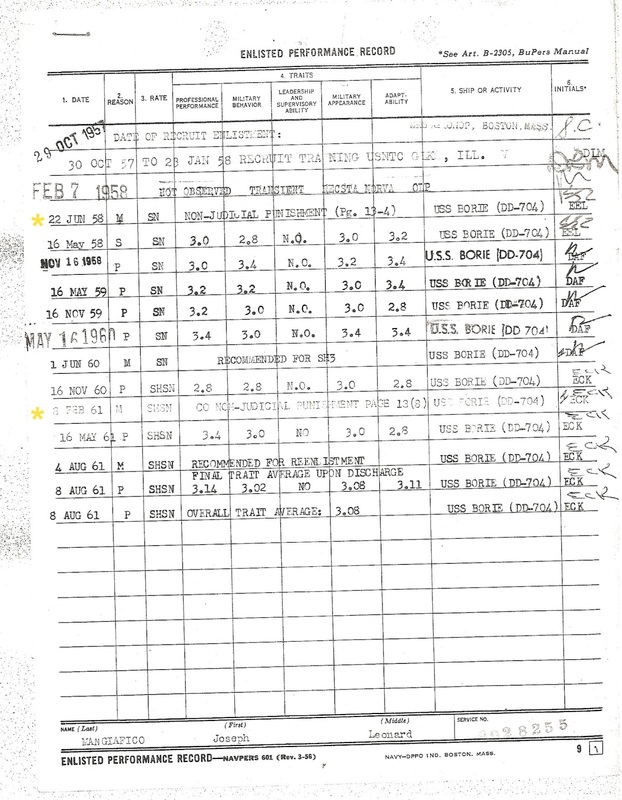 May 16, 1962 He earned the rank of E-4 which means he was a Petty Officer. 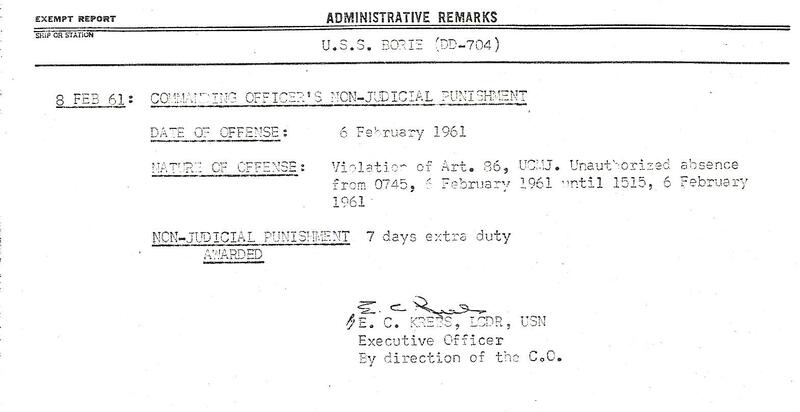 His last duty assignment was aboard the USS BORIE (DD-704). He had a total of 10 months sea service. 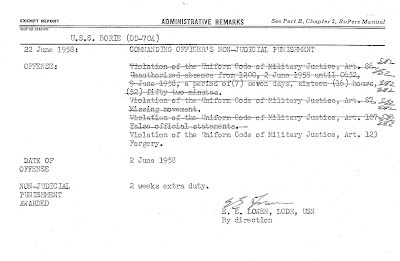 Joseph was honorably discharged August 13, 1962. 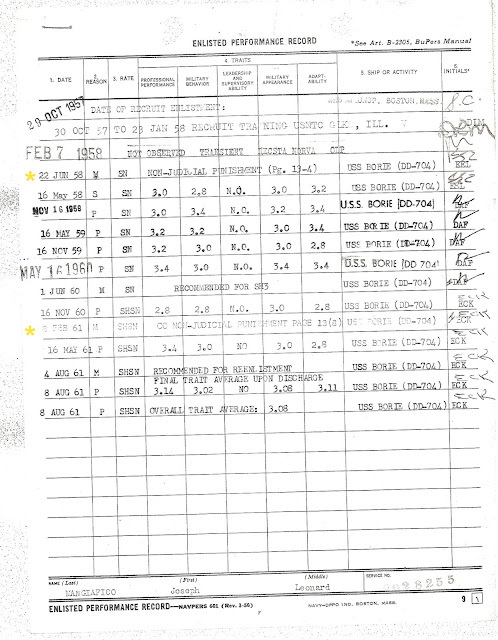 The following document is his ENLISTED PERFORMANCE RECORD. I'm not sure what the crossed out stuff means. Maybe they let him slide on a few things. 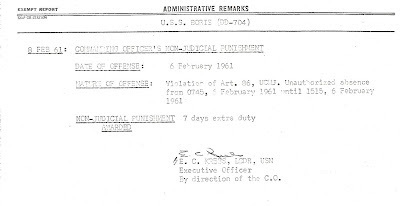 Interestingly the day of this violation was 1 month and 8 days after his wedding. Now I am a little confused as to how he was AOL while in the hospital. Maybe he was running around the hospital and not in his room where he was supposed to be? 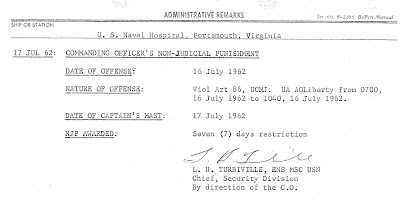 On Jul 14, 1962 his status was changed to TEMDU UNDER TREATMENT. If not strictly a patient, what kind of service would he be doing at the hospital? Well that's a riddle for another day. 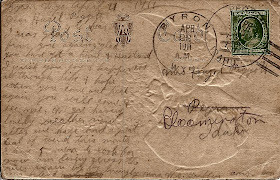 Join us for another installment of Family History Through the Alphabet Challenge!